Co-founder of ‘The Great Whale Conservancy’ Michael Fishbach, narrates over this memorable encounter him and his team had with this young humpback whale that was entangled in fishing nets. When they first saw the giant sea creature they thought it was dead, after further investigation they found out that it was tangled in a net. 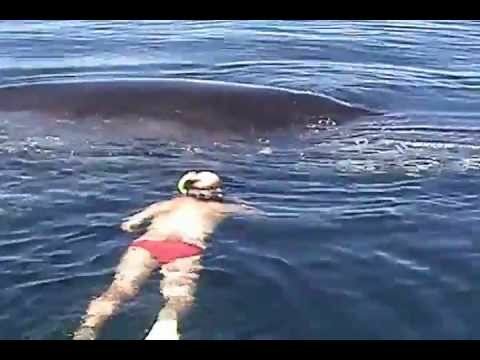 The boat crew knew they had to act fast and the whale’s life was on the line. They managed to capture the whole experience on camera. Once they managed to free the whale, it showed incredible appreciation.